In the first night (After Isha Namaz) of Dhul Hijjah month, Pray 4 Rakats with 2 Salams. In every Rakat, read Sureh Fatiha once and Sureh Iqlas 25 times. From the first night till 10th night (After Isha Namaz) of Dhul Hijjah month, Pray 2 Rakats with 1 Salams. In every Rakat, read Sureh Fatiha once and Sureh Iqlas 3 times. In first Rakat, read Sureh Fatiha once, Ayatal Kursi once and Sureh Iqlas 15 times. In second Rakat, read Sureh Fatiha once, Sureh Baqara last rukhu once and Sureh Iqlas 15 times. In the second night (After Isha Namaz) of Dhul Hijjah month, Pray 4 Rakats with 2 Salams. In every Rakat, read Sureh Fatiha once, Ayatal Kursi 3 times, Sureh Iqlas 3 times, Sureh Falaq 3 times and Sureh Naas 3 times. When is Eid al Adha 2018? Eid al Adha 2018 will be celebrated on Wednesday, 22nd of August 2018 in India and on Tuesday 21st in Saudi Arabia and Middle East Region. 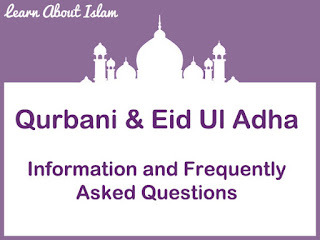 The actual date of Eid ul Azha is depends on the sighting of the moon of Dhul Hijjah. 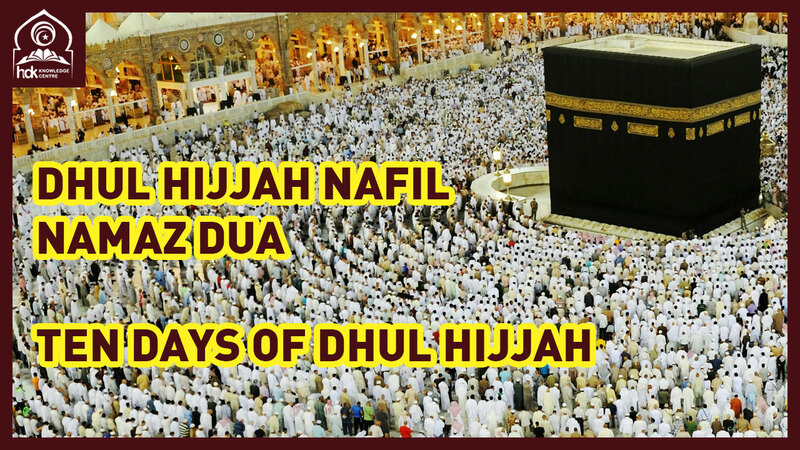 Start of Hajj (8th Dhul Hijjah) - Sunday 19th August. Day of Arafah (9th Dhul Hijjah) - Monday 20th August. 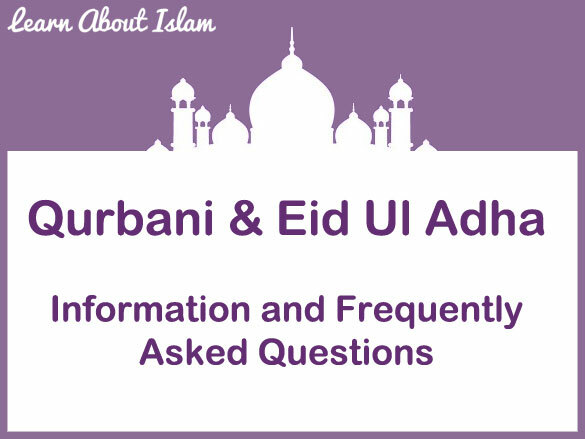 Eid al-Adha - (10th Dhul Hijjah) - Tuesday 21st August. The ten days of the month of Dhul Hijjah are great in virtue and it is from the Sunnah to increase in worship and good deeds; especially fasting on the Day of Arafah. Qurbani or Sacrifice means to slaughter of an animal in the name of Allah on the 10th, 11th or 12th of the Islamic month of Zil Hijjah. The real purpose of qurbani is to attain Allah's consent and to wish to approach Him. A person who sacrifices an animal approaches Allah and attains His consent through it. Sacrifice is also an example of social assistance and solidarity. Father: Ibrahim Raza Khan S/O Hujjatul Islam Allaama Haamid Raza Khan S/O Alahazrat Imaam Ahmad Raza Khan. Mother: ....... D/O Mufti-e A'zam-e Hind Allaama Mustafa Raza Khan. 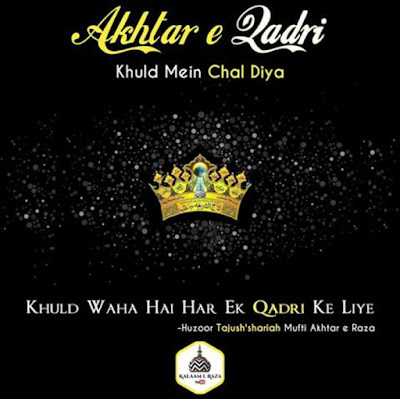 S/O Alahazrat Imaam Ahmad Raza Khan. Ya Allah! Ya Allah! Ya Allah! Allahu Akbar! Allahu Akbar! and with these words the soul of our Shaykh left the physical body to ascend towards the heavens. Taajush Shari'ah Hadrat Allama Mufti Mohammed Akhtar Raza Khan Azhari Qadri, contribution in islam. Due to his immense travel and vast number of programmes with in India and other countries, he has very little time for writing. Fatawa are put aside for his attention and they are mostly answered while he is on a journey. Last night I was at the airport in Delhi and was returning home after having spent time in the khidmat of Huzoor Taajush Shariah Alaihir Rahma, two days before. I had checked in my bags, received my boarding passes, and was standing in the immigration que with just few people ahead of me, when I got a call from Brother Shahbaz who was weeping and saying that Hazrat has taken very ill. I immediately left the immigration que and requested the airline staff to bring back my luggage and release me from the airport. They mentioned that my bags had already been loaded but they would attempt to assist. Just then I called Salman Miya, the son in law of Huzoor Asjad Raza, who answered his phone weeping and informing me that my Master had journeyed into the hereafter. The airlines staff after an hour brought out our bags after clearance and escorted us out of the airport. We immediately sat in Khalid Bhais car and left for Bareilly Shareef. This is the Karaamat of my Shaykh e Kaamil that even as I was about to exit the country He brought me back to Bareilly Shareef to make His Final Deedar. Even as he was leaving the Duniya in Bareilly Shareef, He was blessing this servant, and bringing me back to His Sacred Feet. I arrived in Bareilly Shareef to observe massive crowds which are starting to swell. Since last night Aashiqaan e Taajush Shariah Alaihir Rahma are following lines to make the final Deedar of their Shaykh e Kaamil, through a window, so that as many people as possible may be blessed with Huzoor's Deeedar. Huzoor is resting in a transparent case. He is resting covered with roses, as if He is in a deep sleep and will soon awaken. This Faqeer, my son Mohammed Abul Barkaat, Haji Abbas (Holland) and Khalid Bhai (Delhi) were blessed with entering the private chamber wherein Hazrat is resting so that we may make Ziyaarat of our Master, and I was blessed to place my hands under the case and touch my Masters Sacred Feet probably for the last time in my life. We could not hold back our tears as we made Ziyaarat of the most beautiful face in this era. This was truly the Karam of Huzoor upon us that we were given this privilege. I passed Salaams before Huzoor collectively of all those who have sent me messages asking me to do so. When Huzoor Sayyidi Asjad Raza heard that I had come, within minutes He came into the Darul Ifta to meet this faqeer. It was a very emotional meeting as we embraced one another. He mentioned that He saw my name appear on Salmaan Miya's phone when I called from the airport and he said to him,b2ç¹ yy6cp answer and inform Maulana that Hazrat has passed on, making this faqeer one of the first people outside Bareilly Shareef to have received this news that shook my heart. 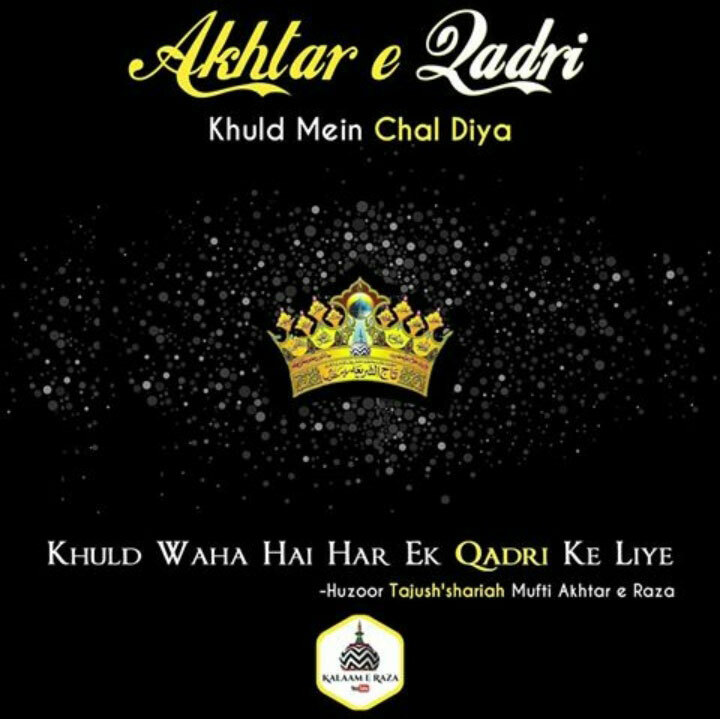 Huzoor Asjad Raza Qibla then explained that, Huzoor Sayyidi had done Wudu for Maghrib Salaah amd his breathing became rapid. He was made to lay down, and as the Azaan had commenced, Hazrat said, Ya Allah! Ya Allah! Ya Allah! Allahu Akbar! Allahu Akbar!, and with these words the soul of our Shaykh left the physical body to ascend towards the heavens. The Janaazah Salaah of Murshidi Sarkaar Taajush Shariah Alaihir Rahma, will be held at the Islamia Inter College Grounds where the Janaazah Salaah of Huzoor Mufti e Azam Hind Radi Allahu Anhu was Held. The Janaazah Salaah of Huzoor Taajush Shariah Alaihir Rahma will take place on Sunday 22 July at 10am Indian Time. Hazrat will be laid to rest on the ground floor of the Azhari Guest House which is adjacent to the Mazaar of Huzoor Sayyidi Aala Hazrat Radi Allahu Anhu and all the Masha'ikh. Wish you all a very blessed month of Ramadan. Ramadan Mubarak to everyone. We bring you the collections of Hadiths related to Ramadan in English which will make you more aware of the blessings of Ramadan. The Prophet (ﷺ) said, "There is a gate in Paradise called Ar-Raiyan, and those who observe fasts will enter through it on the Day of Resurrection and none except them will enter through it. It will be said, 'Where are those who used to observe fasts?' They will get up, and none except them will enter through it. After their entry the gate will be closed and nobody will enter through it." 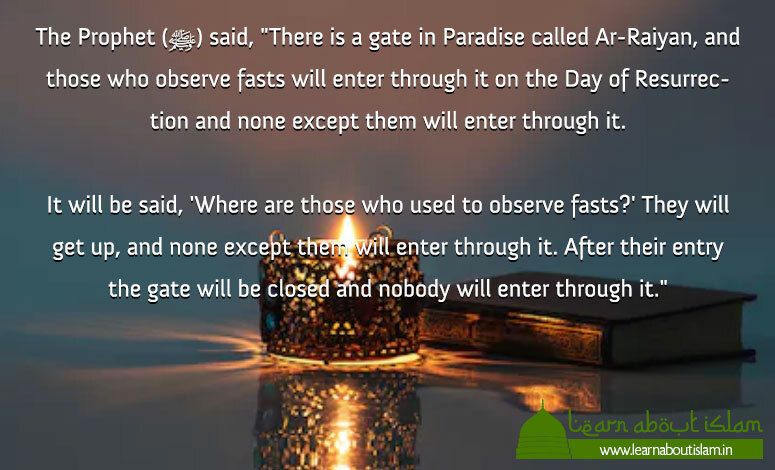 Allah's Messenger (ﷺ) said, "When Ramadan begins, the gates of Paradise are opened." 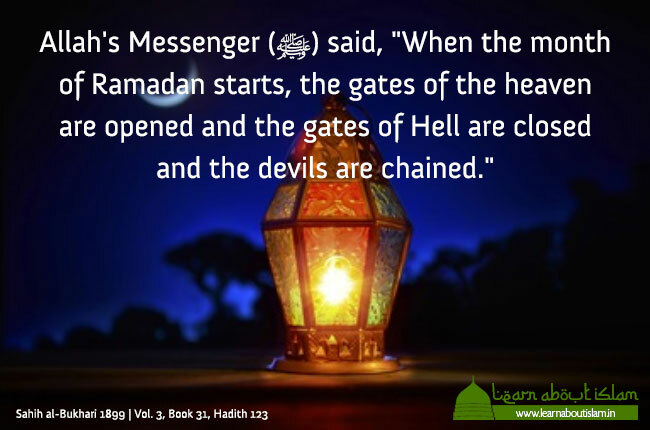 Allah's Messenger (ﷺ) said, "When the month of Ramadan starts, the gates of the heaven are opened and the gates of Hell are closed and the devils are chained." 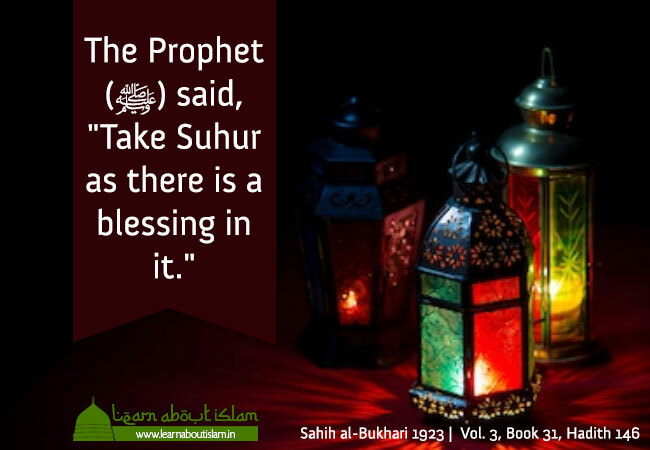 The Prophet (ﷺ) said, "Take Suhur as there is a blessing in it." 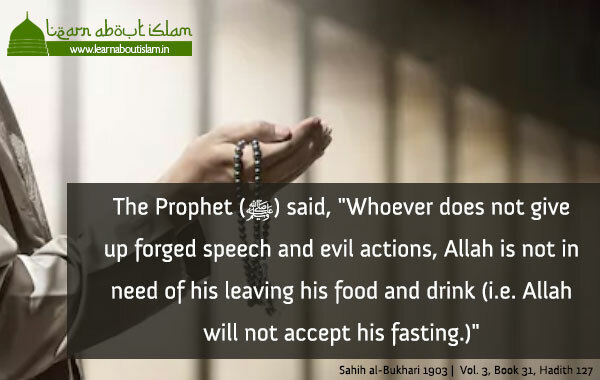 The Prophet (ﷺ) said, "If somebody eats or drinks forgetfully then he should complete his fast, for what he has eaten or drunk, has been given to him by Allah." Allah's Messenger (ﷺ) said, "When night falls from this side and the day vanishes from this side and the sun sets, then the fasting person should break his fast."